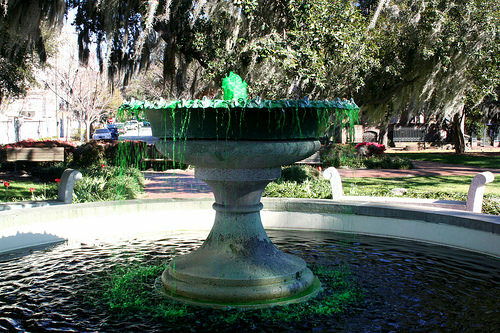 Whether you are Irish, or just Irish for a day in March, Savannah, GA is the place to be. The grand people of this city have been celebrating St. Patrick’s Day with a huge parade since 1813. The first parade was organized by a small group of Hibernians, who were remembering the death of St. Patrick. Since that time, Savannah became home to many Irish immigrants who were fleeing the potato famine and political persecution in their country. These proud people continue to honor their roots with an annual celebration considered by many to be one of the largest parties in the country. This year marks the 189th celebration in Savannah. Here are the main events that make up this celebration. You can read more about each below. The main event is the St. Patrick’s Day Parade. This year the parade will be held on Saturday, March 16, and will begin promptly at 10:15am. Over 350 units will march over the route, which travels through downtown Savannah. These include many lively bands, military units and the famous Budweiser Clydesdale horses. 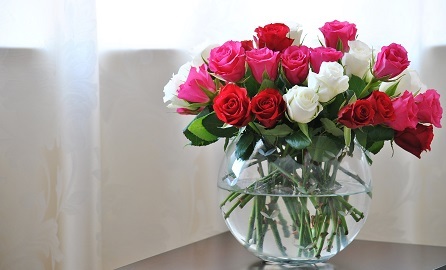 This adult oriented, 3 hour event is carefully overseen by the all volunteer committee. You can find many of these members in white coats ensuring that all runs smoothly, to the delight of every guest. In the week leading up to St Patrick’s Day, you can take part in many family oriented activities. On Saturday, March 8, from 11am-5pm, you can join in the popular Irish celebration known as Tara Feis, or Festival. It is a free outdoor festival of Irish culture that includes dancing and live music. It is held in Emmet Park, at the east end of Bay Street. 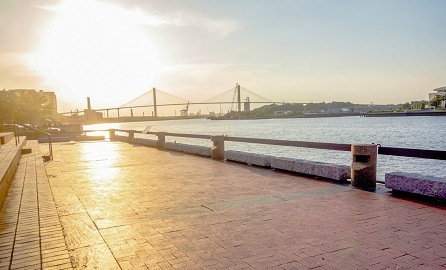 This alcohol-free event also showcases arts, crafts, games, and food, and celebrates Irish ceremony and hospitality, all with a great view of the Savannah River. On Friday, March 12, at noon, is the annual “Greening of the Park” in Forsythe Park. 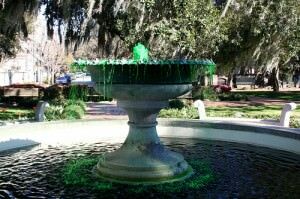 This is when the fountain will gush with green water to get everyone in the St. Patrick’s Day mood. If you are looking to party, the place to be is River Street, throughout the week. This is a large celebration where you are sure to find many revelers in their green attire. You may want to attend the pre- St. Patrick’s Day bash on March 12-13, and a post-bash on March 16-17. After St. Patrick’s Day, you won’t want to miss the largest musical festival in Georgia from March 20- April 6. It is a cross genre musical event that is quite distinctive. 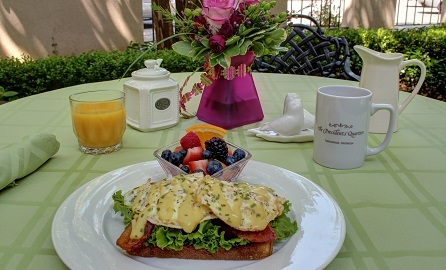 Need help planning your Savannah vacation? Download our vacation guide by clicking here. 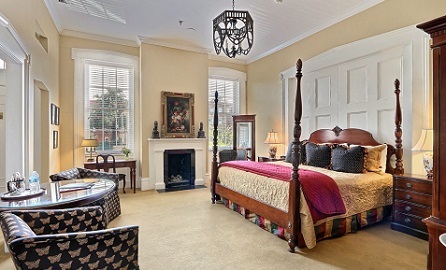 If you’re looking for a Savannah bed and breakfast, we would love for you to stay with us!